This LCD module is ideal for outdoor applications, such as Kiosks, Meters, Solar Inverters, and EV charging stations. 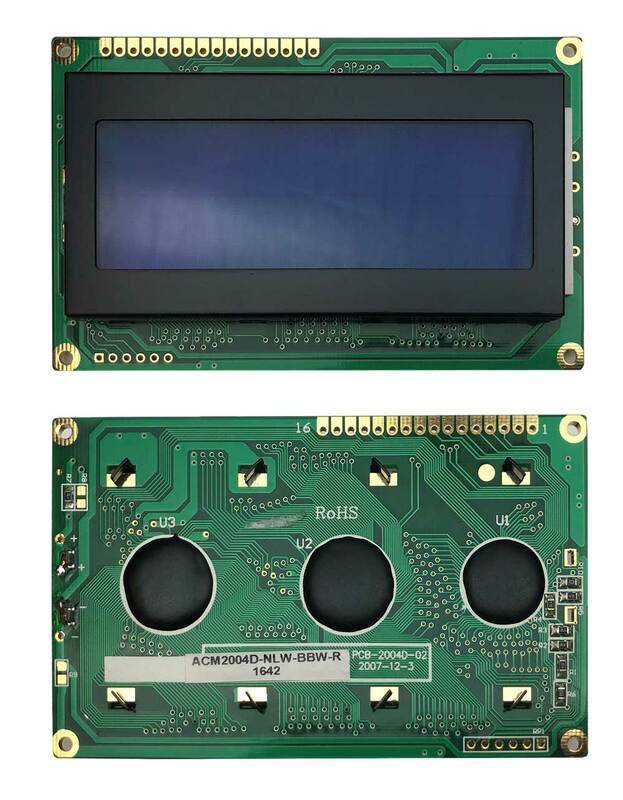 This LCD module is designed with an enhanced operating temperature of -30C to 80C by means of high-end polarizers and enhanced liquid crystal fluid, capable of passing stringent 85C /85% RH (Relative Humidity) 1000 hours reliability test conditions. At low temperatures, the liquid crystal fluid maintains its viscosity, allowing the IC to refresh the data logic without any latency in the response time. At the high extreme of the operating temperature spectrum, the polarizer and adhesive materials are able to withstand the heat without warping the film and damaging the optical performance of the LCD module.